Does $5,000 seem a little expensive for a night out on the town? If so, you better not get caught drinking and driving. According to the Tennessee Department of Safety, the required fees and associated expenses for someone charged with DUI comes to a minimum of $5,000. 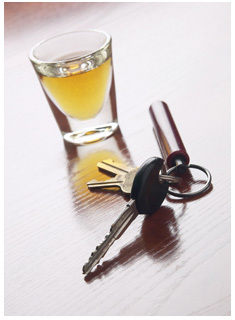 The reason for this is that there are many different costs incurred for a DUI. Besides the expected fees like court costs, bail, and attorney’s fees, the driver will also have to pay for increased insurance due to the SR-22 form (mandatory for drivers with a DUI on their record), the towing bill, and for a mandatory alcohol education class. A study recently conducted by Vanderbilt suggested that the estimated $5,000 is certainly the minimum and that actual costs can be much higher — up to $15,000 for a first time conviction depending on attorney’s fees and the scenario of the arrest. In addition to monetary consequences, a first time DUI offense also carries a jail sentence of at least 24 hours, and the person’s license being revoked for a minimum of one year. Also, the newest and most controversial addition to the Tennessee DUI Law, referred to as the “Shame on You” Law, requires those convicted of a DUI to spend at least 24 hours picking up trash along Tennessee roadways while wearing brightly colored vests with ‘I’m a drunk driver’ printed on the back. Those who support this policy site the money the state saves by not requiring a lengthy jail sentence, the improved appearance of roadways, and the psychological effect of “guilting” DUI offenders into cleaning up their act as positive incentives for continuing the new program. However, opponents of the law argue that the psychological effect will not have a lasting impact on behavior and that 24 hours of community service is far less harsh than other sentences for lesser crimes. The debate continues, but for now, DUI offenders can look forward to cleaning up Tennessee roads wearing a vest that boldly proclaims their crime. However, it is fairly well known that drinking and driving is a crime and that those convicted of a DUI will face very serious consequences. What is not so widely known is that you don’t actually have to be driving to be charged with a DUI. Under new Tennessee law you can be charged with a DUI if you allow someone that is intoxicated to drive your car. This is known as DUI by consent. In this case of DUI by consent, the owner of the car faces the same consequences as the driver. You both will pay at least $5,000 and have your licenses revoked. The only upside to that scenario is that you’d get to share your jail cell with someone you know. Under this new law you don’t even have to be present in the car to receive a DUI by consent. Such is the story of a Greeneville man who loaned his car to his brother in law. The man only loaned him the car to use for getting to and from work, but when the brother in law was slapped with a DUI while driving the man’s car, he got one too. Also, you can be charged with DUI if you are a sober passenger in the car. In Story v. United States the court ruled that “when one sits by the side of another and permits him without protest to operate a vehicle on a highway in the state of intoxication, the one sitting by is as guilty as the man at the wheel.” So if you ever think that someone driving might be intoxicated, it could be worth $5,000 and at least a day of your life for you to find a sober ride home. However, while $5,000 is the estimated total cost of a DUI, it will cost much more than that if the driver actually injures property or a person while driving. Tennessee law states that the owner/passenger is just as responsible for the actions of the driver as the driver himself if the owner/passenger knew that the driver was intoxicated or even that they had the potential to be drinking and driving. Both the non-present owner and the passenger can be held liable for civil damages or charged with a crime that results from allowing an intoxicated driver to take the wheel. If the driver commits a crime, the owner or passenger is guilty of aiding and abetting the crime. Tennessee courts have recently charged a passenger with manslaughter as a result of the driver’s actions and stated that the law extends to owners as well. Insurance agent Paul Moore emphasizes to clients that aside from the immediate costs inflicted by a DUI, insurance rates will drastically increase because a DUI charge makes drivers ineligible for standard insurance for a minimum of 5 years. He estimates that insurance premiums on liability only coverage will at best triple after a DUI and that full coverage will be affected even more drastically. Also, if the driver is underage when they receive a DUI, they are ineligible for standard coverage until age 25. He knew of several situations in which an underage driver was charged with a DUI while still on his parents’ insurance plan. In one such instance the child was cancelled from the insurance plan and had to be insured through a non-standard company from age 18 until age 25 costing thousands of dollars in increased premiums. In many other situations the family couldn’t afford the increased rates for that long a time period and simply cancelled insurance on the child and sold the car. Moore also pointed out that while a child can usually be cancelled from a family’s insurance plan in order to avoid the entire family being dropped from coverage, that isn’t the case with family insurance for a young married couple. He insured a couple, both under the age of 25, and when the husband got a DUI, both the husband and the wife were dropped and sent to a non-standard insurance company since they were on the same plan. “That situation is especially devastating because it triples the insurance premiums on both cars. It’s hard enough to make it financially when you’re first married without that kind of burden. It’s a real shame to see people having to spend years of their lives digging themselves out of a hole all because of one mistake that could have been avoided by simply finding a sober driver or calling a cab,” says Moore. The moral of the story: don’t drink and drive and don’t let anyone else do it either– especially if they’re driving your car. If you or a loved one has been injured by a drunk or intoxicated driver, please contact a car accident lawyer at http://www.robinettelaw.com or call us at 304-594-1800 for help today.